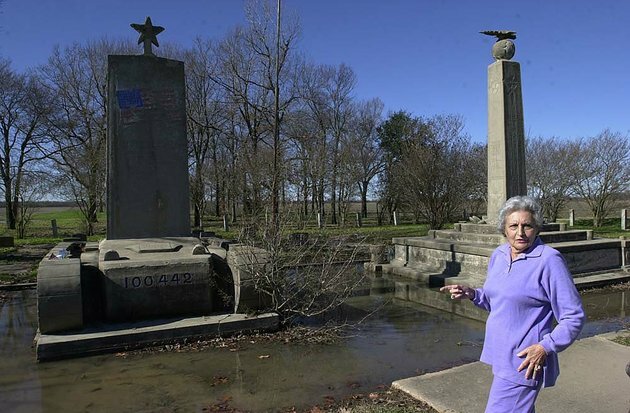 The National Park Service awarded a $250,000 grant to preserve two monuments at Rohwer, one of two Arkansas sites used as an internment camp for Japanese Americans during World War II. The project is one of 24 that the service is funding with $2.9 million in grants. The grant for Rohwer will be used to stabilize and restore two historic monuments at the cemetery there. The University of Arkansas at Little Rock applied for the grant. In addition, two other grants were awarded for Rohwer projects, including $93,000 for educational kiosks, interpretive panels and an audio tour. Arkansas State University received that grant. The Central Arkansas Library System received $67,821 for its project to preserve artwork created by the internees.